Will this female-fronted oater manage to shake off the bad karma of its production period? No. Portman and Edgerton are committed, but the story (or lack thereof) lets them down. 2016 just got its first cinematic whipping boy. Jane’s got a gun, but she doesn’t get to actually use it – there’s a dude who lives across the prairie to take care of all that nasty business. Giving the time-honoured “troubled production history” a very bad name indeed, Gavin O’Connor’s flinty but flat follow-up to 2011’s MMA carve-up, Warrior, is a film that feels like it has been cobbled together from bad outtakes by a boardroom full of people who have absolutely no idea what they’re supposed to be making. Ace western gunslingers such as Budd Boetticher and Allan Dwan managed to parcel the entirety of America (and a fair hunk of western philosophy) into a diamond-tipped 78-or-so minutes. Even running at a relatively curt 98 minutes, Jane Got a Gun manages to tell a modest – you might say highly inconsequential – yarn that’s not even lightly spiced with ideas, circumspection, interesting characters or basic logic. It’s a film that just… happens. 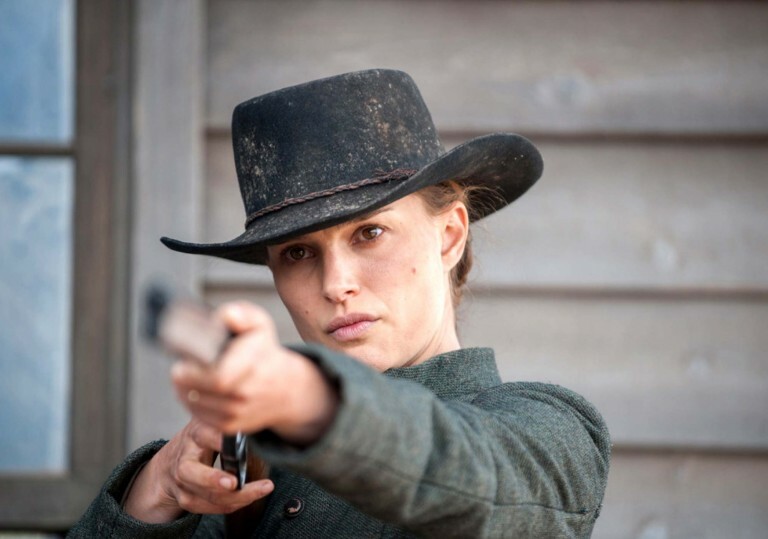 Dramatically neutered by its cumbersome reliance on vapid expositional flashbacks, the film focuses on Jane Ballad (Natalie Portman), holed up in a faraway ranch in the sandy outlands of New Mexico where she awaits her fate at the hands of dastardly John Bishop (Ewan McGregor, looking like a pearly-white descendent of Lee Van Cleef). She’s done something to upset him, and he wants her blood. Yet it’s not actually Jane he’s after, but her husband Bill “Ham” Hammond, (Noah Emmerich) who enters the fray with a back full of bullets after a run-in with Bishop’s crew, all predictably wiry urchins with bad teeth and train-track facial scars. After posting her young daughter to safety, Jane gallops off to solicit his services of Dan Frost (Joel Edgerton), a sharp-shooting drunkard “with a past” who just happens to live nearby. And that’s pretty much it. There’s a long talky pause before the inevitable grand showdown as plot fragments drop into place with a minimum of surprise, and then it just kind of starts, happens and finishes. We’re deliriously scrambling for something – anything! – nice to say about the film, but it just has so very little going for it. Even as a tin-eared but wannabe-feisty genre exercise it fails to satisfy, leaning on long, heavily accented and drably humourless dialogue exchanges in which characters essentially tell each other what viewers will have just seen in the flashbacks. To list the bone headed cosmetic no-nos would be too much of a chore, but suffice to say it’s one of those films which provokes a whole raft of “why did X do Y when Z already did it?” kind of questions. One moment of peak irksomeness comes when Dan saves Jane from a back alley altercation, and once they’ve propped the corpse of their deceased attacker against a wall, the camera cuts to a little shot of the pair placing his hat back on his head. Why make a point of showing this detail which adds nothing to the movie? There’s also a strange moment where Bishop is introduced torturing a lickspittle fur trader by garrotting him with a length of wire that’s been tied to a wall – incidentally, the exact method employed by Indonesian warlord Anwar Congo in Joshua Oppenheimer’s The Act of Killing. Alas, there’s no attempt to present Bishop as a charismatic ruffian whose evil has been sponsored by some higher power. He is a garden variety pantomime thug, and not even a ghoulishly interesting one at that. The film makes no attempt to talk about power or business or machismo or money – it doesn’t appear to want to be anything more than it is. Though you might think that O’Connor and his (Blacklist endorsed!) writing team would’ve boned up on female-driven westerns such as Nicholas Ray’s Johnny Guitar, Samuel Fuller’s Forty Guns or even David Butler’s superlative Doris Day musical, Calamity Jane, his film manages to render the potentially fascinating question of gender moot, to the point where it’s almost entirely irrelevant. Where those films cleverly offset notions of femininity against the hair-trigger violence of the plains lifestyle, this one has Jane embody all the humdrum clichés of the loving maternal wife who can’t shoot for toffee, keeps a clean and organised house and has to constantly be saved by a sympathetic male compatriot whenever disaster strikes. Maybe it’s for the best that she doesn’t go full “Bad Girls” and decide to furnish her oppressors with some sickly brand of Christmas Cracker feminist retribution, but what we have instead is just an honest-to-goodness dull character – someone with whom it’s hard to extend even a primitive level of compassion and understanding. Original director Lynne Ramsay, who dropped out on day one of production back in March 2013, did well to cut and run on this bloodless mess. 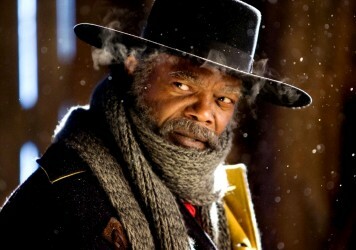 Quentin Tarantino’s bloody, bloated ensemble western is about as much fun as watching snow melt. The actress plays a gunslinging mother who takes on a gang in this gritty revenge western.